The use of cryptocurrency in various industries has increased massively over the past few years and it’s a trend that could soon have a big impact on the Premier League. Tottenham Hotspur, Leicester City, Newcastle United, Southampton, Cardiff City, Brighton & Hove Albion and Crystal Palace recently agreed to set up digital wallets, with an online trading platform, which says it is in “no doubt” that the currency will eventually replace sterling in the transfer industry. According to online trading firm eToro, which has paid clubs to take part in online trading, the Bitcoin system will also help clubs tackle illegal ticket sales and counterfeit merchandising. Cryptocurrencies like Bitcoin, which have no physical form and exist only as strings of computer code, were created in 2009, with the goal of becoming decentralised currencies. Bitcoin is basically a computer file, which is stored in a ‘digital wallet’ application on a smartphone, tablet or personal computer. People can send Bitcoins, or part of one, to a digital wallet or to other people. Every single transaction is recorded in a public list called the blockchain. Every transaction is recorded publicly, so it’s very difficult to copy Bitcoins, make fake ones or spend ones they don’t own. Iqbal Gandham, UK managing director at eToro, believes that the use of Bitcoin in the multi-billion pound transfer industry would help to improve “transparency”. “This announcement is very much the first small step on a long road to football fully embracing blockchain technology,” he told the Telegraph. “Education will be key so that industries can understand the potential, however, the openness of these Premier League clubs to taking this first step, is very exciting for everyone. This is not the first time that Premier League clubs have partnered with the cryptocurrency industry. Arsenal became official partners of Cashbet, a US cryptocurrency business, in January 2018 – in one of several partnerships between crypto businesses and sports organisations. Barcelona forward Lionel Messi recently endorsed a blockchain smartphone, while former Liverpool star Michael Owen has launched his own cryptocurrency. 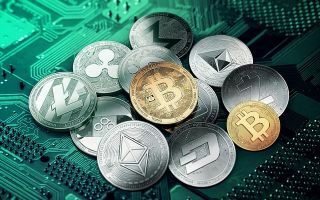 The gambling industry has also embraced the use of Bitcoin, with many leading sportsbook operators offering it as an alternative to the more widely recognised banking methods. Bitcoin has already been used to facilitate a transfer transaction, with a Turkish amateur side becoming the first football club in the world to have paid for a player with cryptocurrency. Omer Faruk K?roglu received a mix of Bitcoin and Turkish lira to join Harunustaspor, who play in the Sakarya First Division Group B.
Bitcoin has also been previously been employed as a method of payment for settling a player’s fees in other sports. Danish ice hockey side, Rungsted Seier, signed a three-year sponsorship back in December 2017 with Bitcoin millionaire Niklas Nikolajsen. The club captain’s salary is now paid exclusively in Bitcoin. AC Milan owner Yonghong Li also saw the potential benefits of using Bitcoin, although his efforts to use the currency to refinance the club’s debt ultimately failed. However, the possibility that Bitcoin could soon be used in Premier League transfer deals could move cryptocurrencies onto a completely different level. Ross Peet, a managing partner at the London-based ideas agency Yes&Pepper says the technology could eliminate the need for agents or middlemen, while also making transactions quicker, cheaper and more transparent. “The days of trading assets through complex paperwork and red tape could well be numbered as the world is gearing up to embrace blockchain,” he told the Independent. “If you follow that chain of thought to its ultimate conclusion we could be entering Star Trek territory where the Tokenisation of Everything (TOE) will mean money becomes obsolete and we can exchange anything for anything. While Spurs and Arsenal are the only clubs out of the so-called ‘Big-Six’ to currently have link-ups with cryptocurrency firms, it is probably only a matter of time before the two Manchester clubs, Liverpool and Chelsea follow suit. Cryptocurrency remains a mystery for many people, but its infiltration into a high-profile competition like the Premier League means it is likely to be here to stay for the foreseeable future.